8 Unique Wedding Venues in Los Angeles: Top Places to Get Married in L.A. If you want your L.A. wedding to be totally out of the ordinary, you may want to look into these unique wedding venues in Los Angeles! 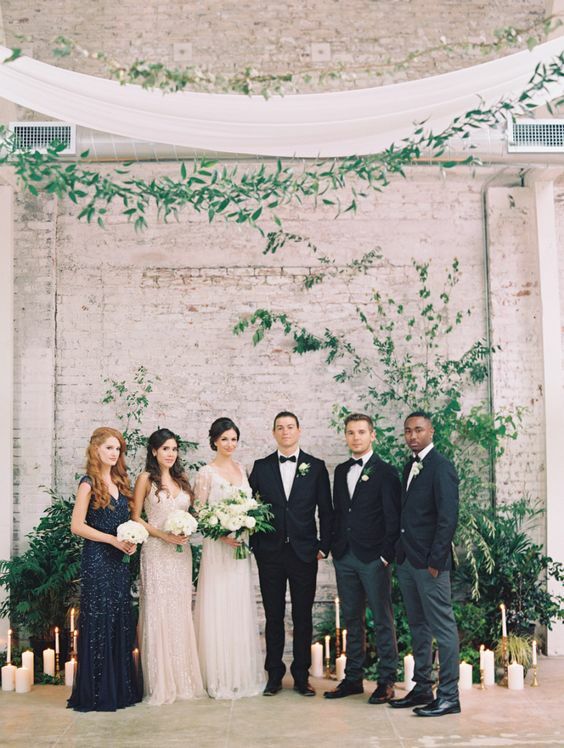 Rustic loft wedding at the HNYPT, a raw space in Los Angeles. Wedding Photography: Onelove Photo. Los Angeles has so many fabulous locations that it may be hard to narrow down your choice to just one. 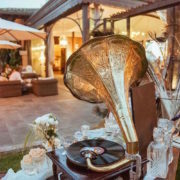 Of course, if you are on trend, and celebrate your wedding in a couple of wedding venues, – one for party and another for after-party – this list really will come in handy! Here’s to the coolest places to get married in L.A.! We have something for every couple, from the sports fan to the bookworms, all the way to magnificent raw spaces and beach wedding venues! We are certain that these unique wedding venues in Los Angeles will help make your big day truly unforgettable. 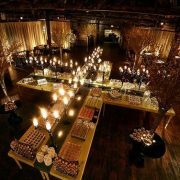 For a more urban feel, check out HNYPT (pronounced Honeypot) for your wedding day. 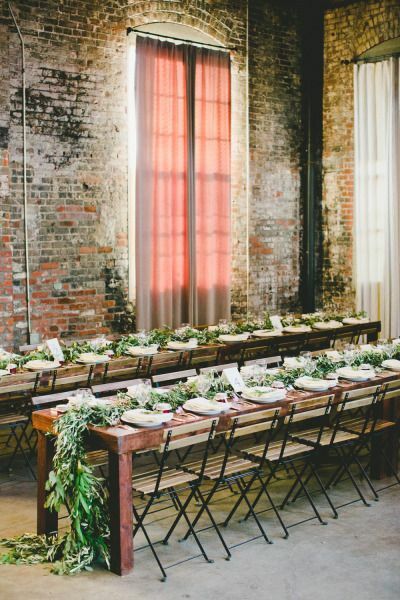 This venue is a triangular pitched roof converted warehouse that boasts 20-foot ceilings, skylights, and exposed brick walls. 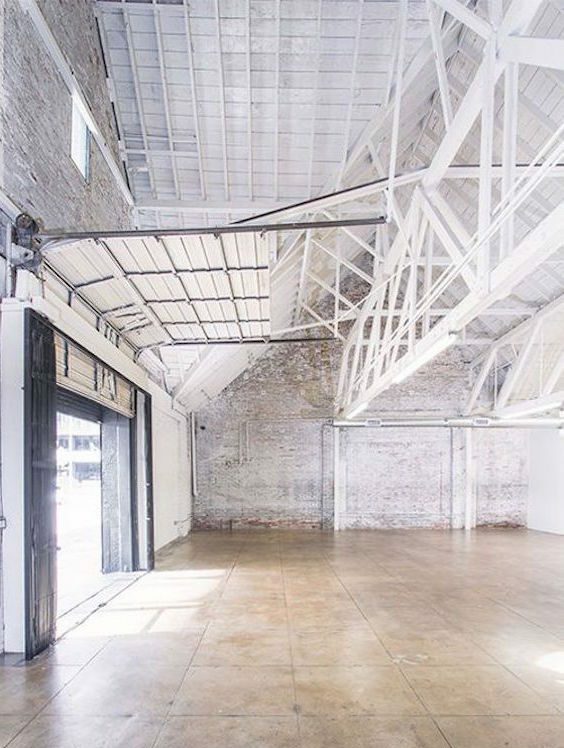 Located in Downtown Los Angeles, HNYPT is raw space, – a blank slate that can be turned into whatever you imagine it to be to perfectly match your wedding theme. The maximum wedding capacity it 200 guests. You can reserve this venue for 15 hours or 23 hours. 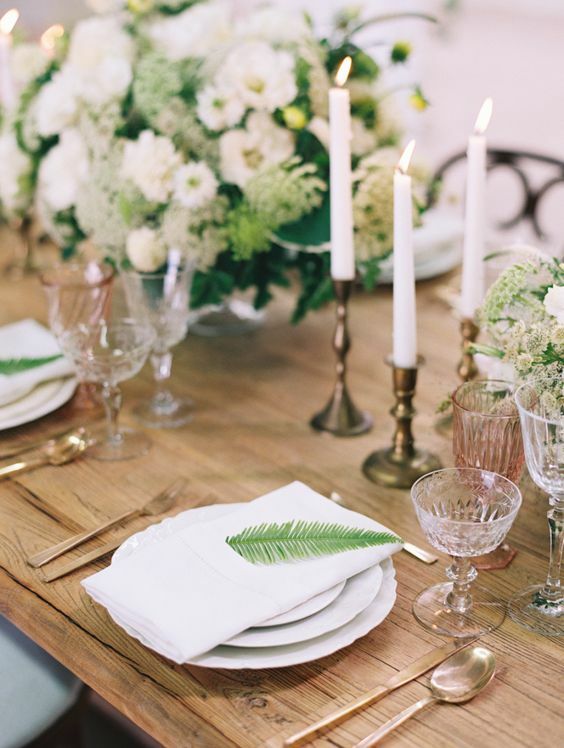 Get inspired by this simple yet elegant table decor at HNYPT LA. 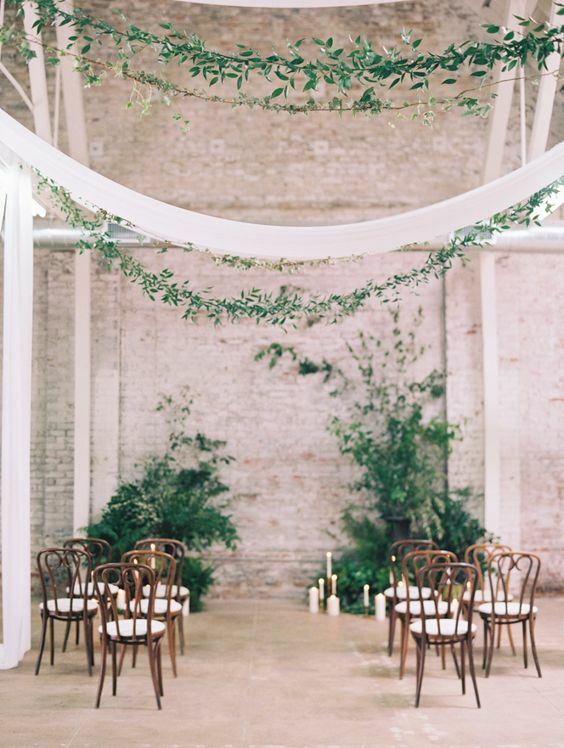 Greenery, candles and a few simple chairs. HNYPT, one of the coolest industrial wedding venues in L.A.
Intimate wedding at the HNYPT LA. Oh! The ideas that come to mind to dress up this glorious space! 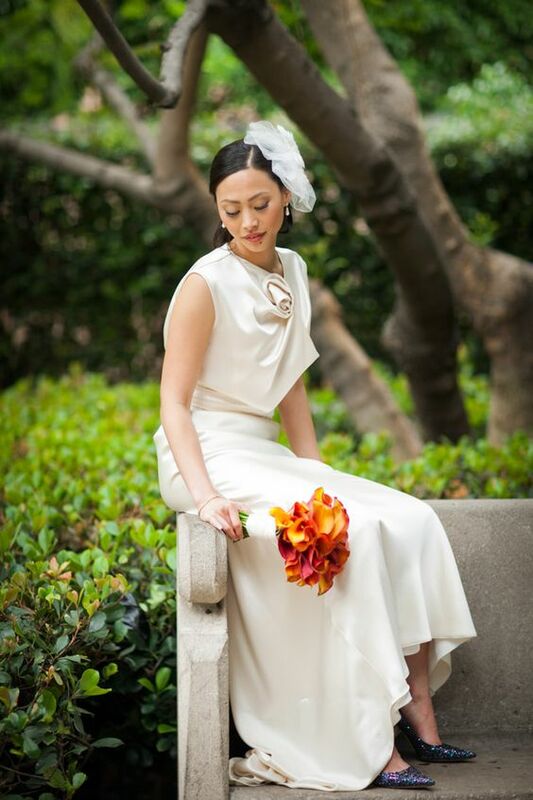 For a more urban feel, check out HNYPT -pronounced Honeypot- for your wedding day. 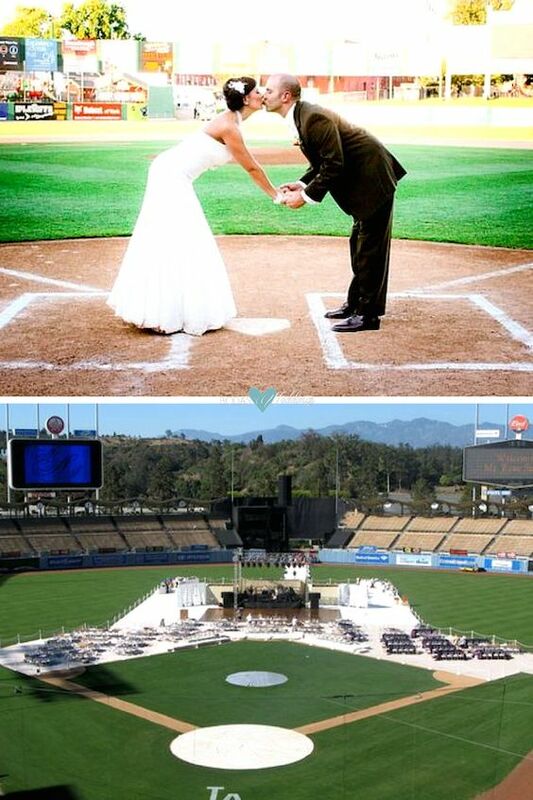 If your dream is to be married on home plate at Dodger Stadium, you can. 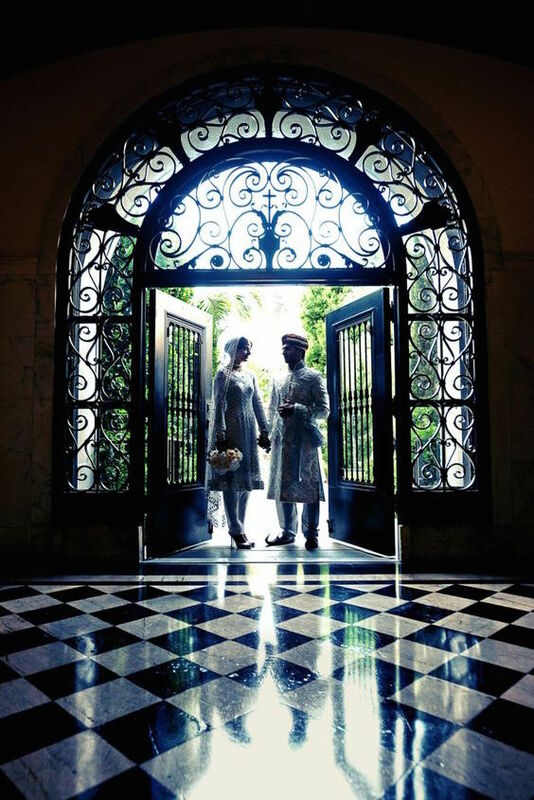 This treasured Los Angeles landmark has everything you wanted to host your wedding. 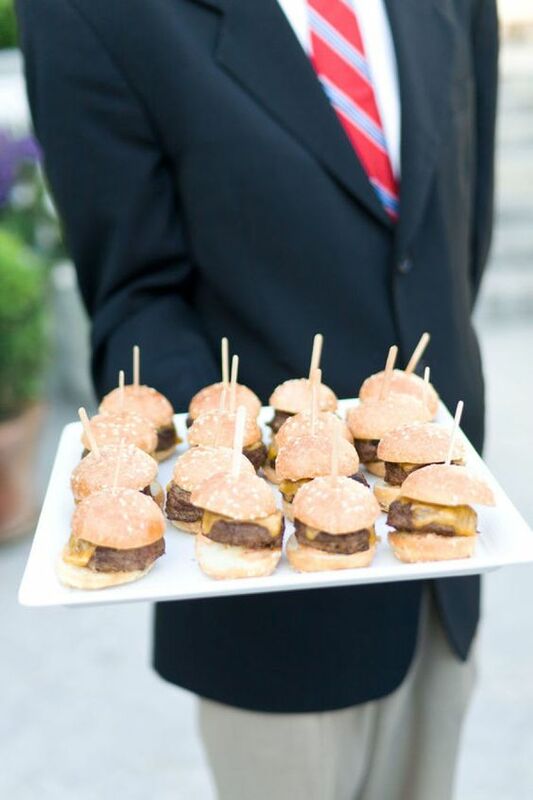 And we bet your guests will be singing the “Take me out to the ballgame” song all the way to your big day. There is a lot of history in this venue, but it is not only for baseball fans. Dodger Stadium has multiple places that can facilitate wedding receptions. Their largest, The Stadium Club has enough room for 230 guests seated and a dance floor. The Lexus Dugout Club located behind home plate, packs Dodgers energy, fits up to 350 people for a reception and seats 170 guests with a dance floor. We highly recommend Dodgers Stadium as a wedding venue to any couple that wants a unique and special wedding. You may even use their gift shop to get your wedding favors! How cool is that? This is a “Take me out to the ball game” kind of wedding. Unique wedding venues in Los Angeles: Dodgers Stadium. 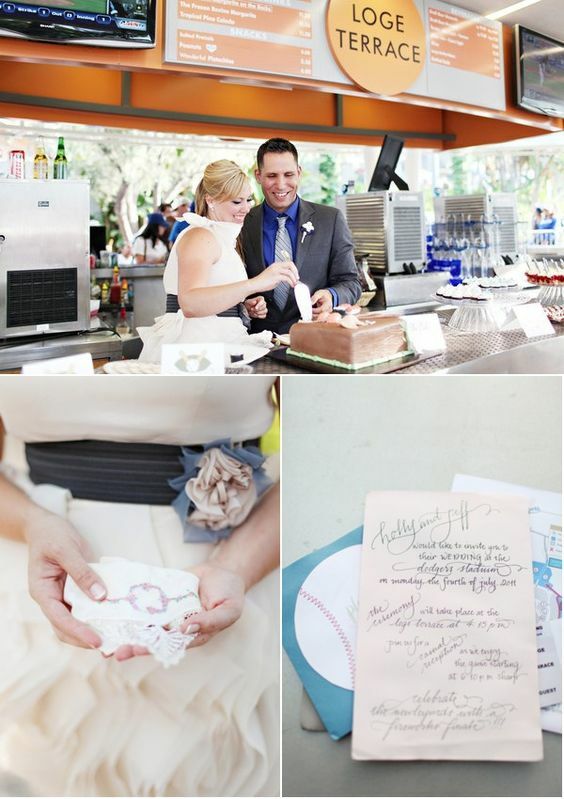 Incredible and memorable Dodger Stadium wedding captured by Nicoletta Photography. 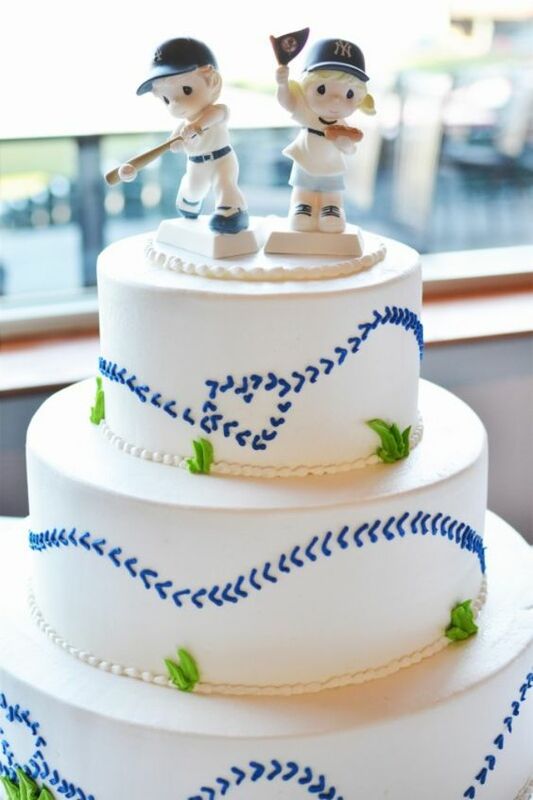 Dodger-Yankee baseball rivalry wedding cake. 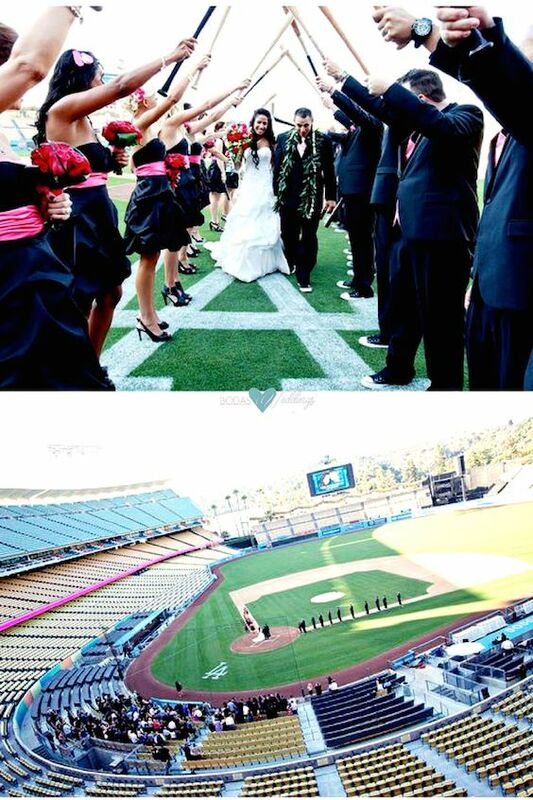 Marrying on home plate of a baseball stadium. Wedding photographer: Kate Photo. First look photo shoot and wedding at the Dodgers Stadium in Los Angeles. Who doesn’t want to get married at the Magic Kingdom? Start your happily ever after in true Disney style at one of the most unique wedding venues in Los Angeles. 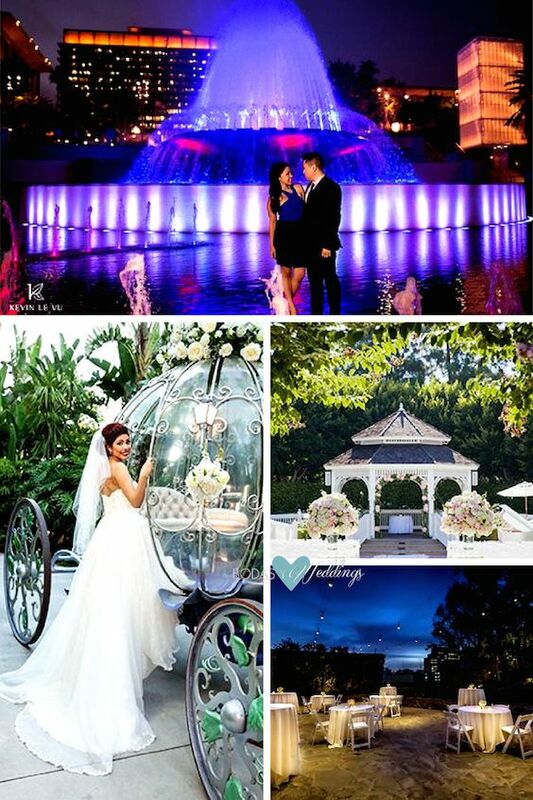 Create your fairy-tale wedding in front of Cinderella’s castle, get hitched in a far off destination of your choice at Epcot’s World Showcase or plan a non-character wedding with very elegant details and stylish touches. The sky’s the limit! There are many venue options among the grounds at Disneyland, both indoor and outdoor, that can be the perfect setting for your big day. And while Mickey cannot act as your wedding officiant, you may hire up to two characters to join you at your party. They have a few outstanding features such as your own personal wedding coordinator that will help turn your wedding into a fairytale. Feel like the belle at the ball at one of the coolest wedding venues in L.A. 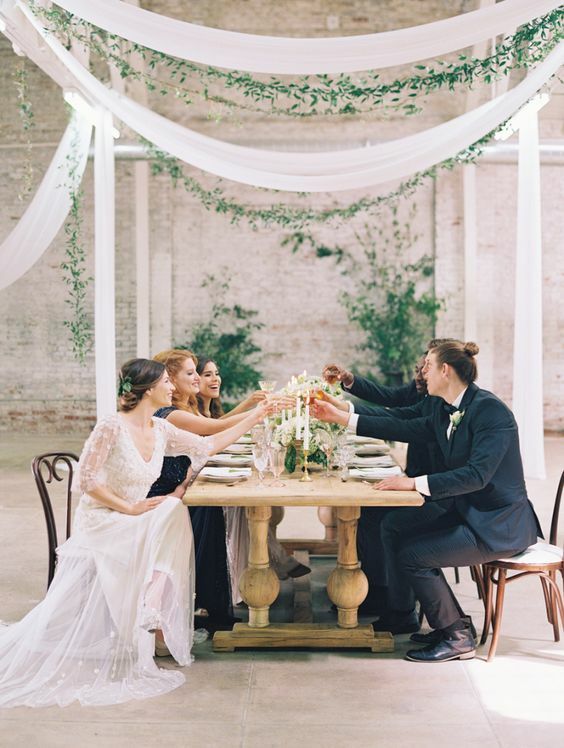 Check out these ideas to plan your fairytale wedding! Disneyland Sleeping Beauty Castle wedding. Who wouldn’t love a Disney reception? Pick from a fairy-tale wedding right in front of Cinderella’s castle or a spooky portrait session at The Haunted Mansion in Disneyland, one of the most awesomely unique wedding venues in Los Angeles. Disney Concert Hall, Los Angeles. Wedding photographer Kevin Le Vu Photography. Such a happy bride riding in Cinderella’s Coach. Disneyland’s romantic Rose Court Garden. 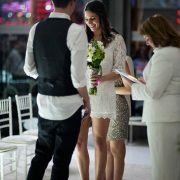 DoubleTree by Hilton Los Angeles Downtown garden wedding reception. Start your happily ever after in true Disney style at one of the most unique wedding venues in Los Angeles. 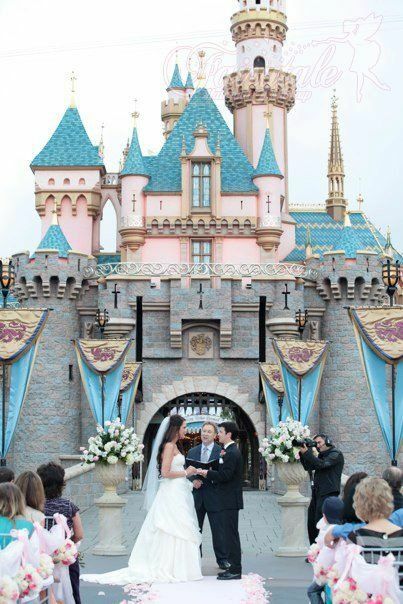 Incredible Disneyland wedding with the carriage, the castle, and fireworks included. 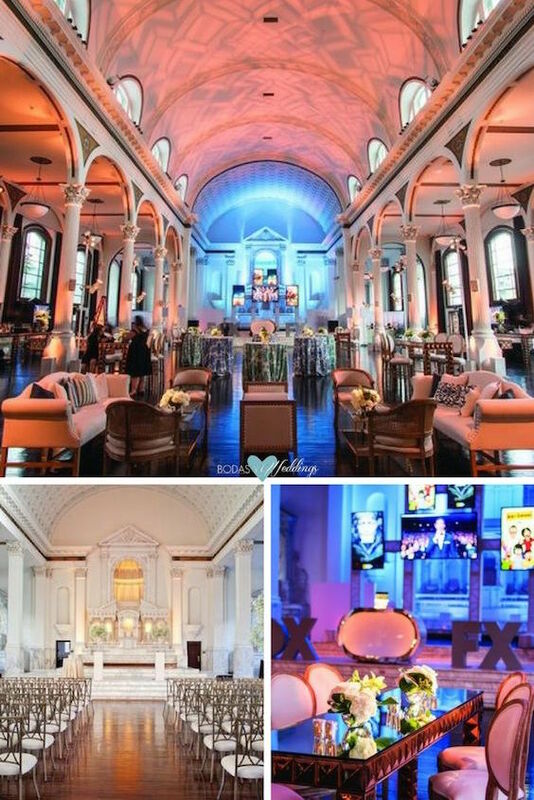 This Spanish cathedral is a venue that is sure to make a lasting memory for your wedding day. With baroque columns, arched ceilings, and lush gardens this setting is the perfect background for your wedding photography. It was the former Archdiocese of L.A. Many famous weddings took place at this site and even former Pope Paul slept in what is now the bridal prep area. 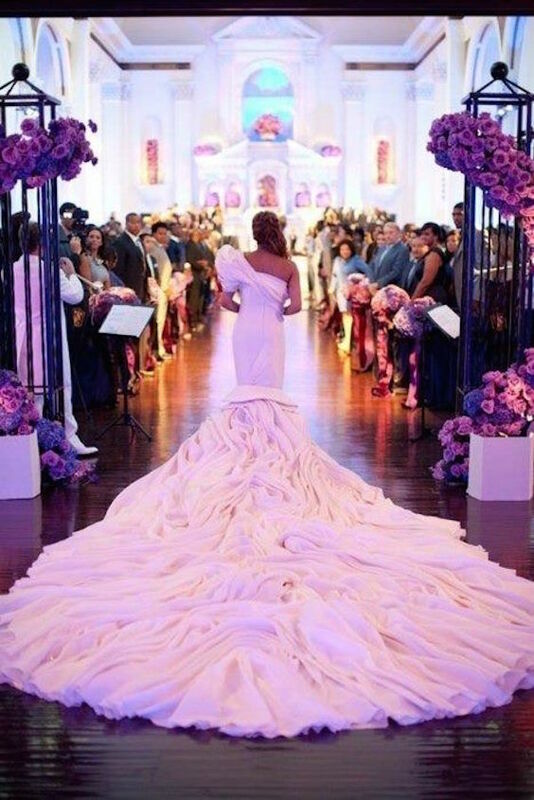 The Vibiana Cathedral is one of the most stunning wedding venues in Los Angeles. There are indoor and outdoor venues that can hold up to 400 people inside and 500 outside for the ceremony. You can rent out this venue for 6 hours at a time and until as late as 2 AM. 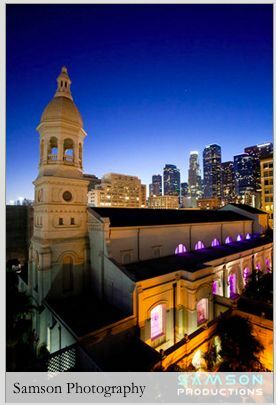 The Vibiana, in Downtown is the oldest cathedral in L.A. 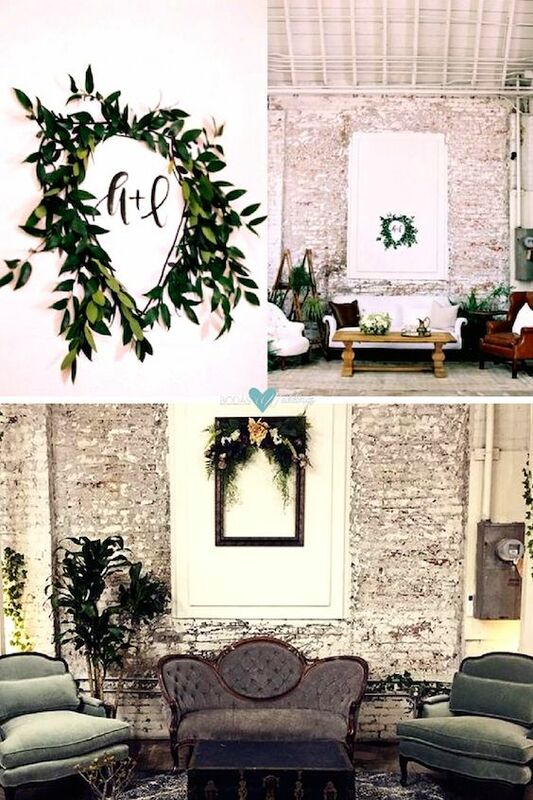 Unique wedding venues in Los Angeles. KLK Photography. 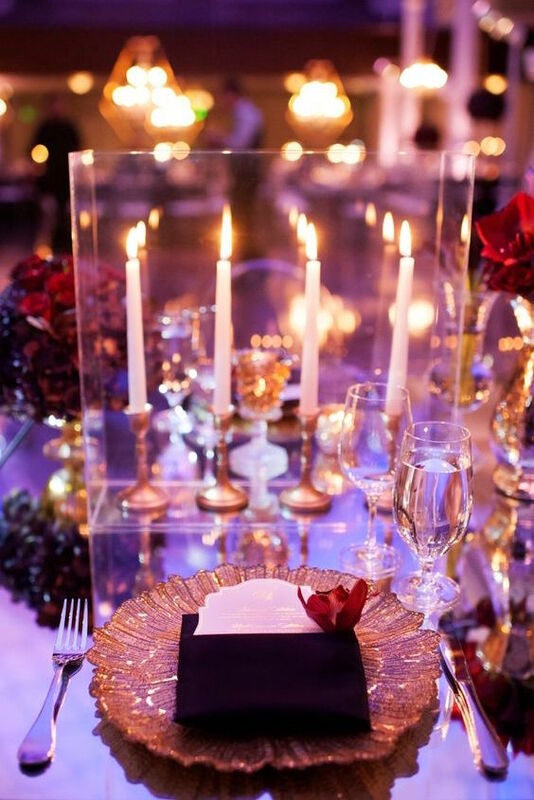 Modern jewel toned luxury wedding at the Vibiana in Los Angeles. 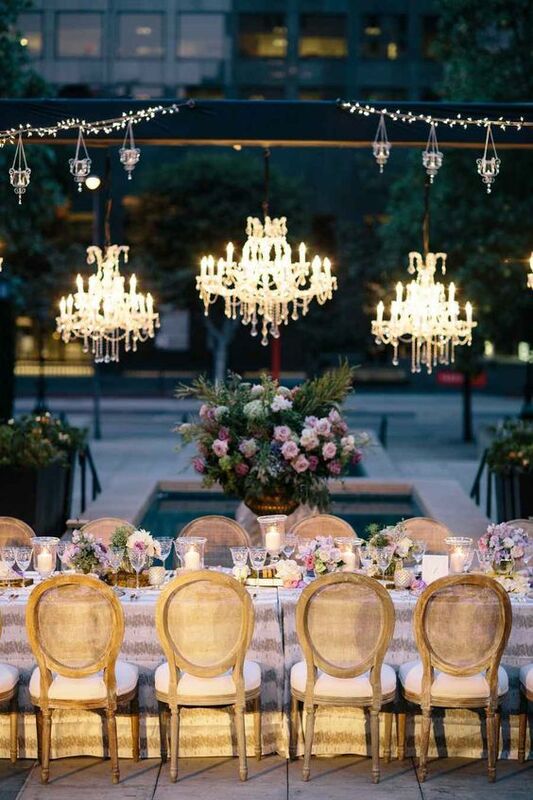 The Vibiana, one of the most unique wedding venues in Los Angeles. 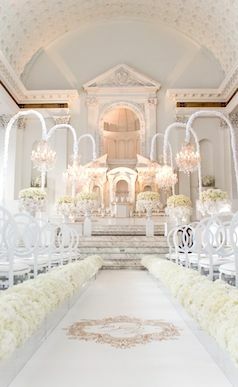 Elegant and majestic white wedding venue at the Vibiana Cathedral in L.A.
Book lovers, rejoice. The Public Library might just be the perfect setting for your L.A. wedding. 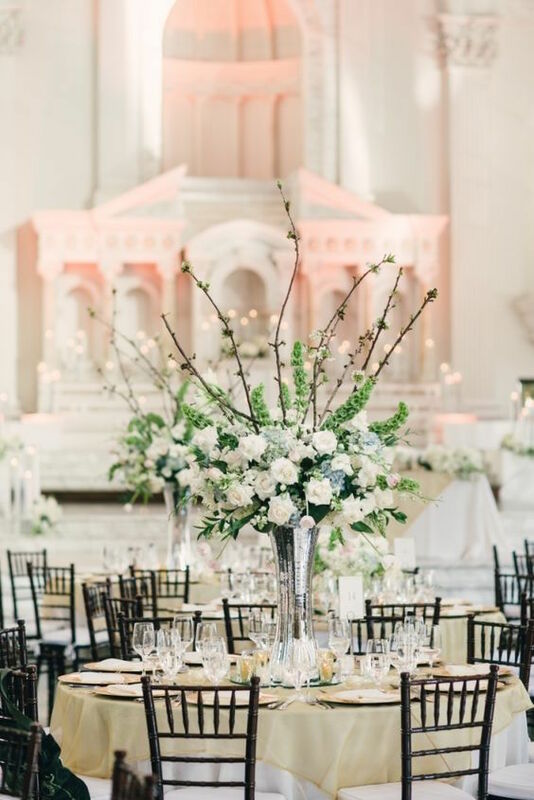 The historic architecture of the Library building has large, arched windows making it one of the coolest places to get married in L.A. Natural stone, brilliant windows, and high ceilings complement the ceremony space to perfection. Café Pinot, the next-door restaurant, hosts wedding receptions. 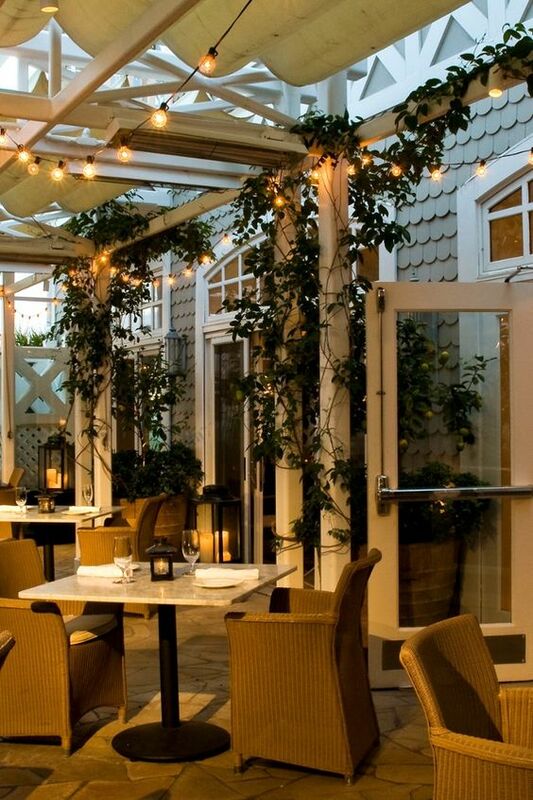 The restaurant has a beautiful garden to satisfy those looking for an outdoor area. The venue can accommodate up to 300 people and it’s quite affordable! 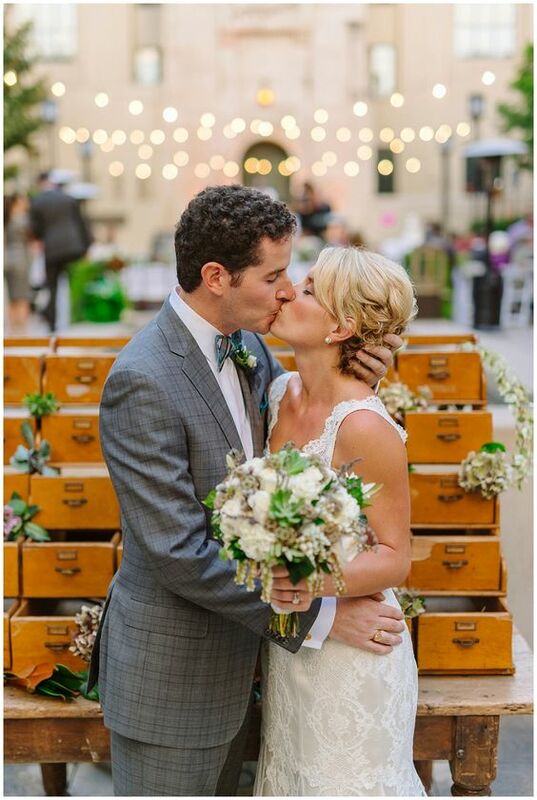 Los Angeles Public Library Wedding. 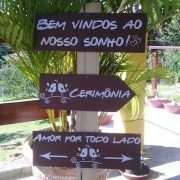 Cafe Pinot wedding. Wedding photographer: Mike Arick photography. Cute engagement photo in the Los Angeles Public Library. Photo by Ning Wong. 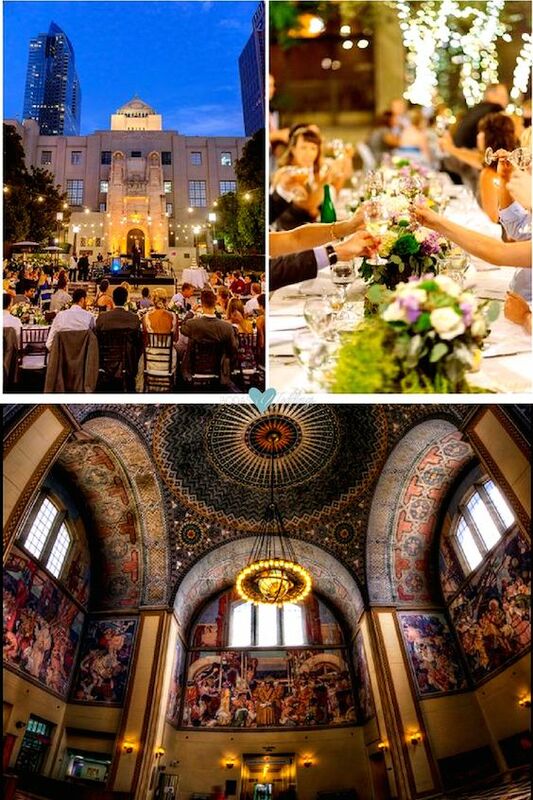 Indoors or outdoors, original and unique wedding venue: Los Angeles Public Library. 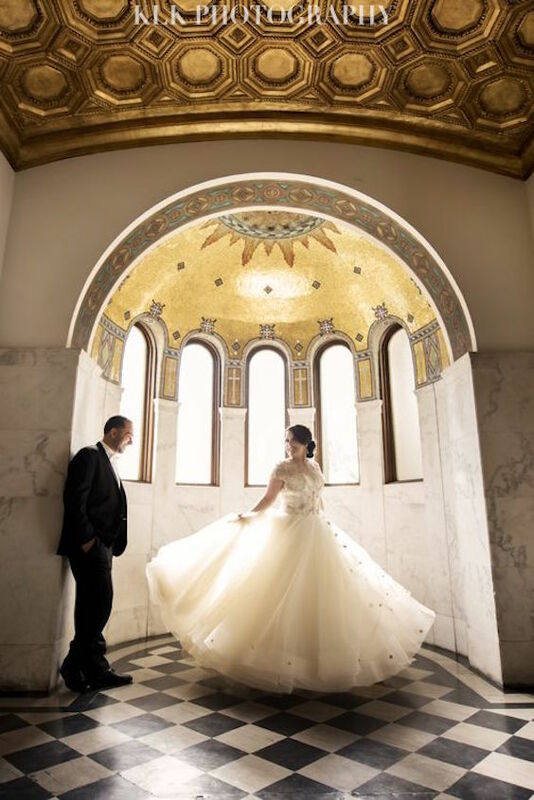 Los Angeles Public Library wedding captured by Michael Segal Photo. 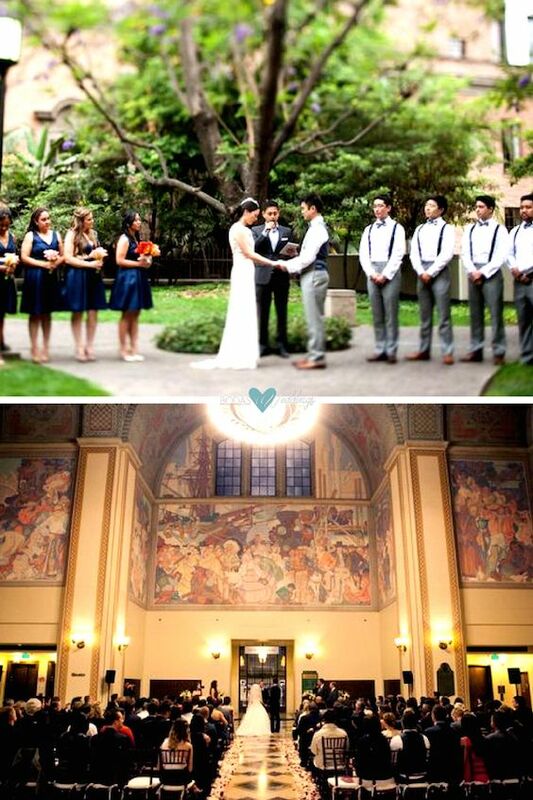 The Public Library might just be the perfect setting for your L.A. wedding. Wedding venue: Los Angeles Public Library & Café Pinot. LA wedding photographer: Mike Arick. Rotunda of the Los Angeles Central Library. Romantic does not even begin to describe this unique wedding venue. Historic redwood and oak trees inhabit the grounds of this Santa Monica/Malibu space. 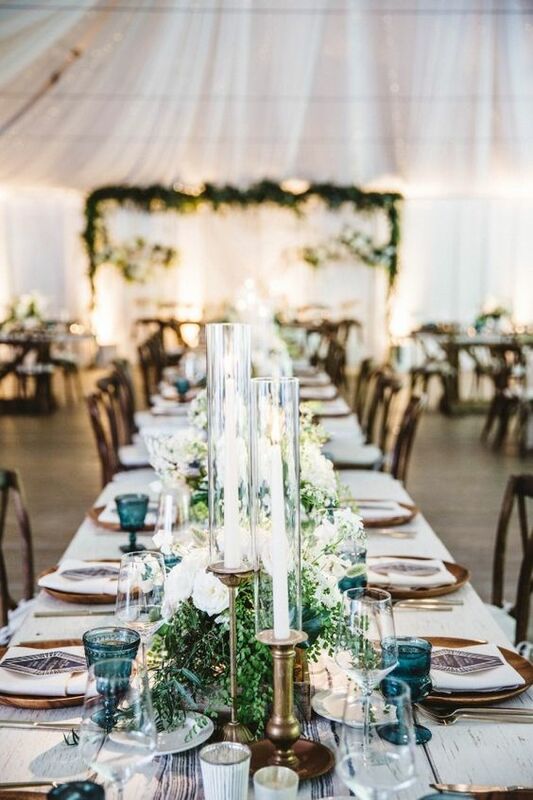 Calamigos Ranch is a 120-acres of rustic, beautiful outdoor/indoor event space. Let the soothing sound of waterfalls and the twinkling lights among the trees turn your wedding into an unforgettable experience. This event venue can hold up to 500 people and is available to rent for 6 hours. The Ranch has the unique vibe of a hidden forest full of waterfalls, trees and beautiful flowers. Calamigos Ranch wedding photographed by Allie Lindsey Photography. 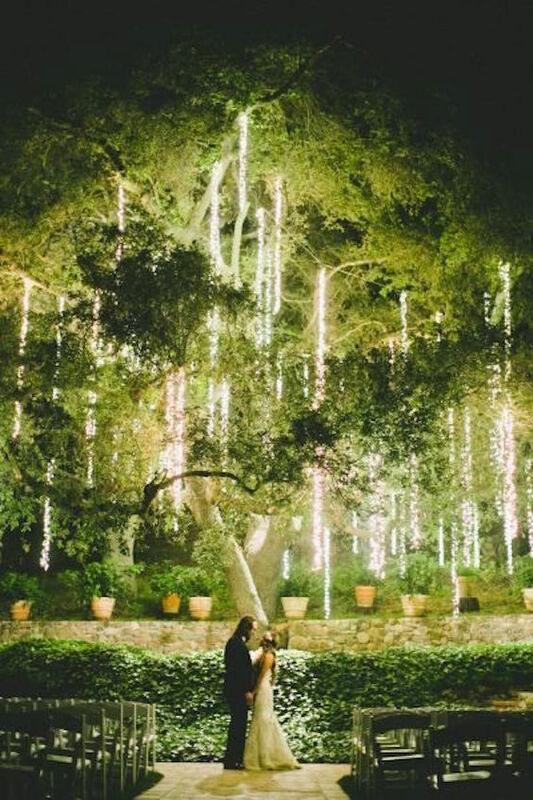 An oak tree filled with strands of light is a romantic spot for a kiss. 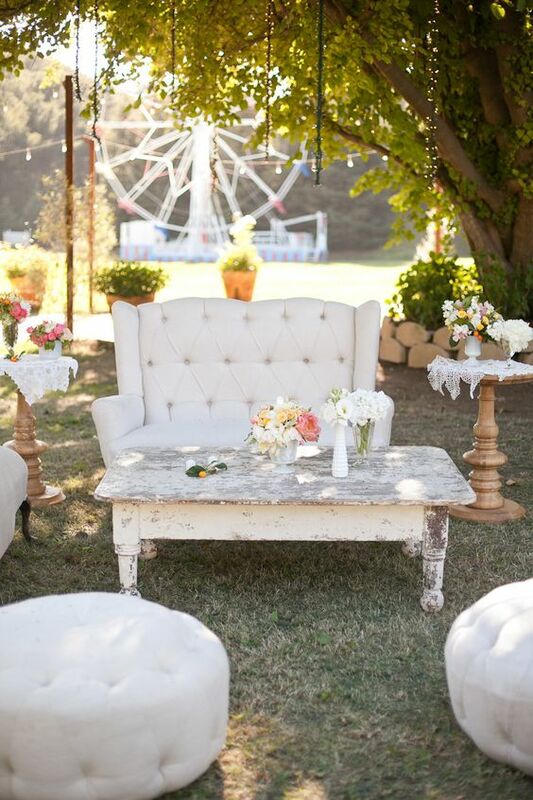 Boho chic wedding at Calamigos Ranch. Calamigos Ranch is perfect for every couple looking for a romantic wedding event. The venue has a plenty of very cute bridges, trails and romantic spots for your cocktail-hour. Get married under the old oak tree at the Calamigos Ranch in L.A. Wedding photographers: Gina & Ryan Photography. Los Angeles has everything, including one of the coolest places to get married in L.A. right by the Santa Monica beach and pier. 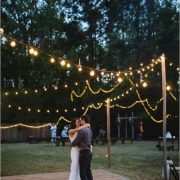 If you wanted a destination wedding but opted to stay in town, this unique wedding venue provides the best of both worlds. Shutters on the Beach is a beautiful oceanfront resort that offers reception halls of various sizes. This is perfect because your guests can stay on site and you can take advantage of the resort-like amenities before the big day. Uncover how to plan a beach themed wedding ceremony with these 13 crucial tips that will make it a resounding success! 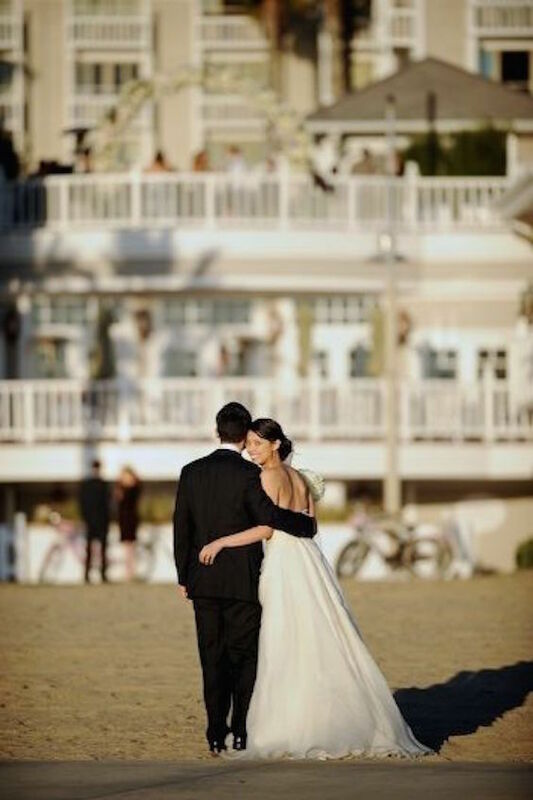 Unique wedding venues in Los Angeles: Shutters on the Beach. Photo courtesy: Wayne Photography by Today Might Be Photography & Shutters on the Beach. 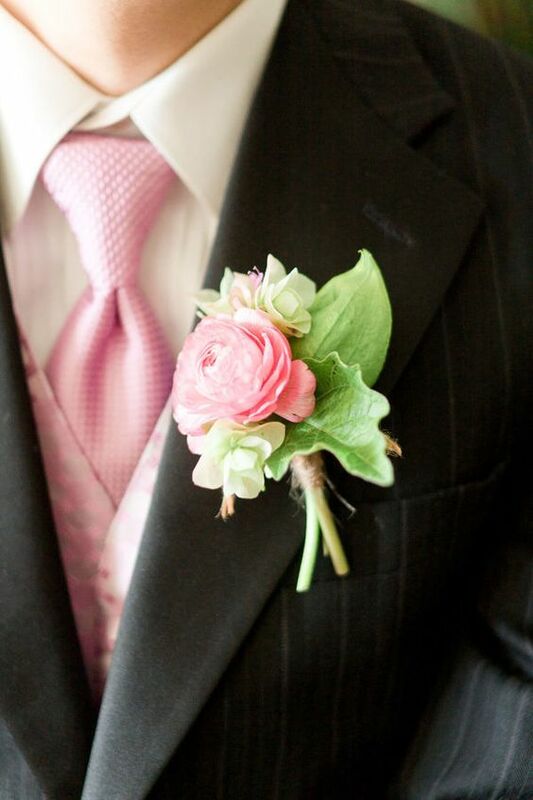 A vintage classic wedding by the beach in pink, blush, white, and peach. Amazing setting. Impressive, romantic, and unique! 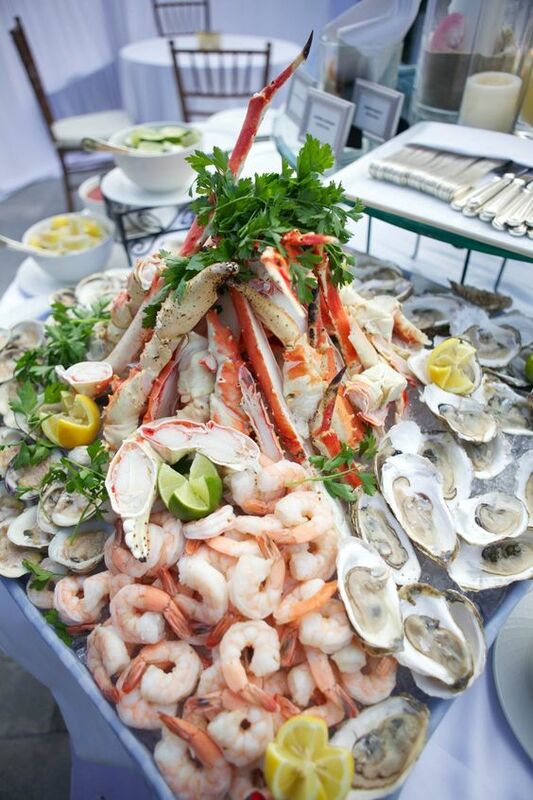 Gorgeous groom’s boutonniere for a beach wedding at one of the coolest places to get married in L.A.
Hamachi crudo and Pacific sea bass plus plenty of delicious shellfish to feed your wedding reception guests. 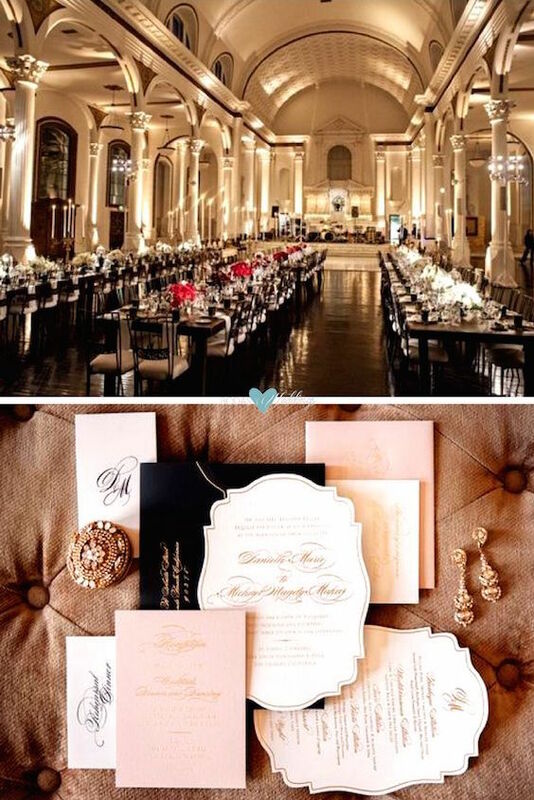 This venue can pair well with many different color schemes. 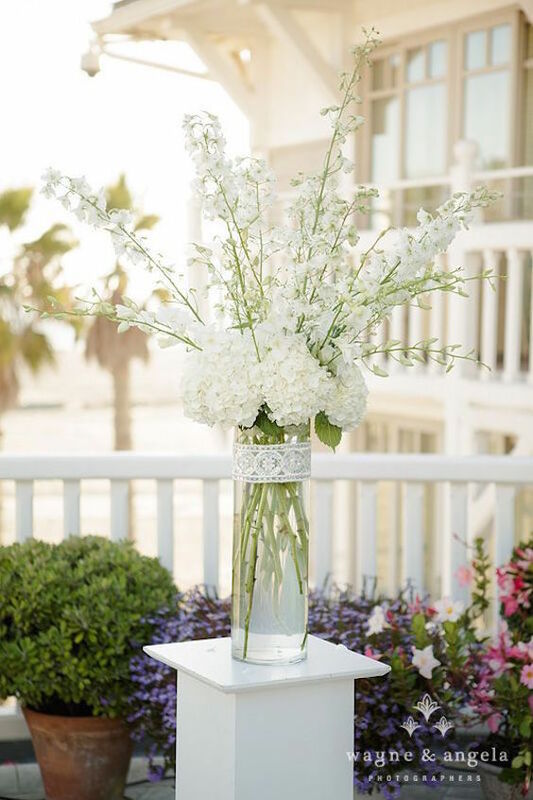 Santa Monica Shutters on the Beach has a breathtaking seaside space ideal for beach weddings. Hazelnut – Elizabeth Anne Designs. 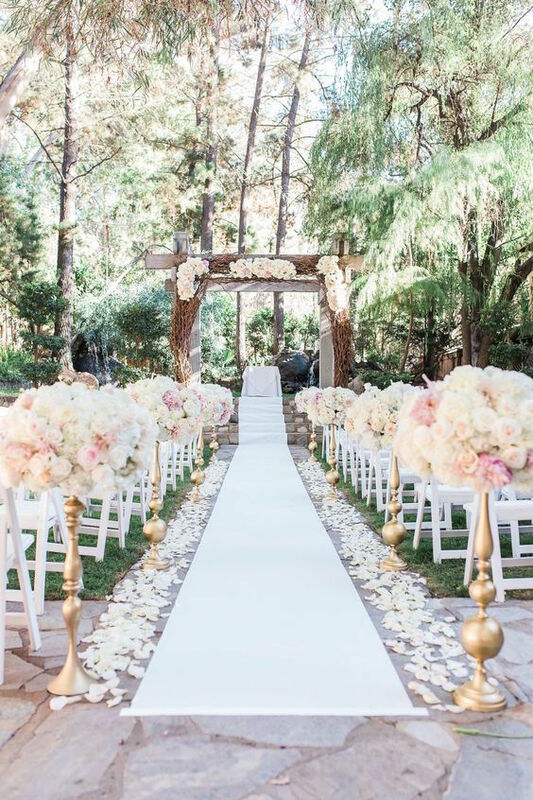 With this round up of unique wedding venues in Los angeles, we hope we made your choice of ceremony space a bit easier. For those couples who want their wedding day to be some kind of extraordinary memory and are tired of the traditional banquet halls, now, these eight cool places to get married in L.A. are in your radar! 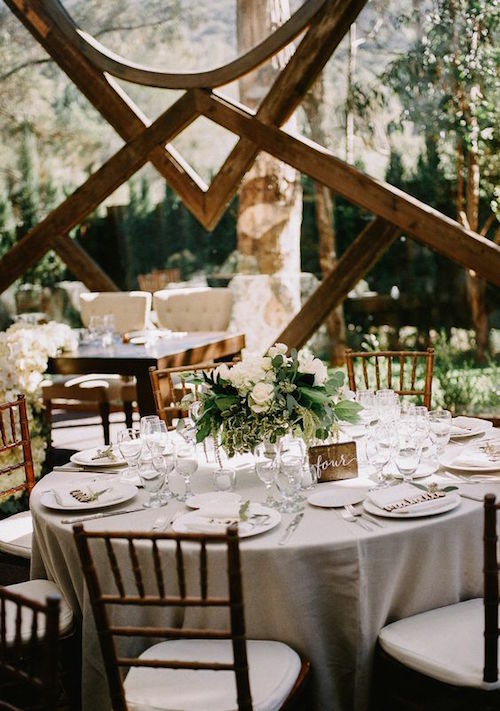 Coolest places to get married in L.A. Los Angeles photographer: Armen Asadorian Photography. 04/17/17 /0 Comments/by Havi G.
https://bodasyweddings.com/wp-content/uploads/2017/04/Coolest-places-to-get-married-in-LA.jpg 805 564 Havi G. https://bodasyweddings.com/wp-content/uploads/2019/01/bodasyweddings-logo-byw.png Havi G.2017-04-17 19:11:352018-05-08 18:35:148 Unique Wedding Venues in Los Angeles: Coolest Places to Get Married in L.A.